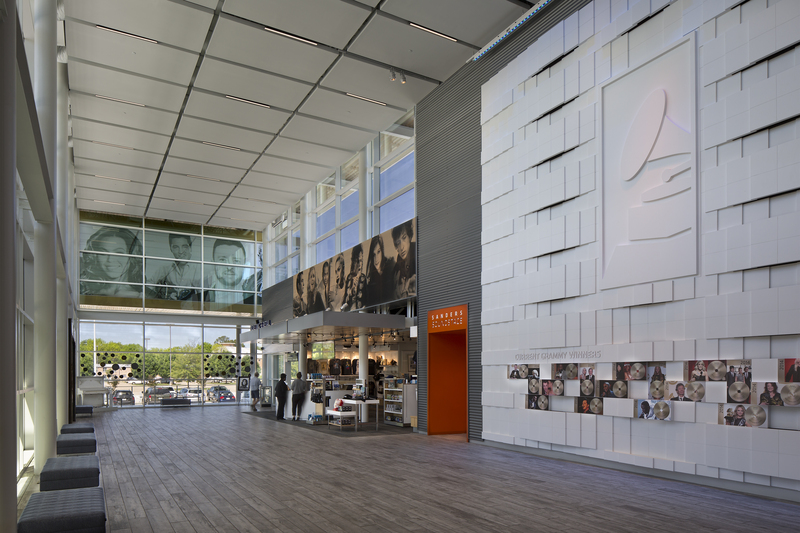 The new 28,000-square-foot GRAMMY Museum® Mississippi opened in March 2016. The one-story museum's façade and 30-foot-tall lobby features Tubelite Inc.'s curtainwall and entrance systems. Owned and operated by the Cleveland Music Foundation, the Museum is located in Cleveland, Mississippi near the campus of Delta State University, home of the Delta Music Institute, which features the most unique audio recording facilities in the South. GRAMMY Museum Mississippi is the first GRAMMY Museum site outside of Los Angeles. It is similar to its sister museum, the GRAMMY Museum® at L.A. LIVE, in its dedication to exploring the past, present and future of music, and the cultural context from which it emerges. The Museum focuses the spotlight on Mississippi's deep musical roots and impact on modern music, as well as celebrates a broad range of musical styles recognized by the GRAMMY Awards®, such as pop, rock, jazz, hip-hop, classical and gospel. Mississippi's legendary contributions to music history include Jimmie Rodgers, Elvis Presley and B.B. King. The $20 million Mississippi Museum was designed as a joint venture by Dale Partners Architects P.A. of Jackson, Mississippi, and Eley|Barkley, P.A. of Cleveland, Mississippi. The Los Angeles Museum's executive director Bob Santelli and deputy executive director Rita George supervised the museum project design team. "The design concept was to create a building as contemporary as the internationally recognized brand it represents, while still resonating with the Delta vernacular," explained Jason Agostinelli, architect with Dale Partners. "The blending of these two themes helps reinforce the idea that, yes, Mississippi has great musical heritage, but we are still very relevant in today's music scene." Describing the Museum's focus on exhibits, community and climate-appropriate architecture, Agostinelli continued, "This museum required that we have no natural light in the exhibit space. We wanted to combat that with an all-glass lobby to provide a visually active space. The lobby is a great event space for the community and can accommodate over 300 people. The curtainwall allowed the lobby to act as our 'screened porch' so that, visually, it was a continuation of the front porch." He added, "The South-facing porch was designed to accommodate larger numbers of people during functions and events seeking shelter from the heat. The brise-soleil over the porch was designed to shade the lobby during the summer, but will allow the sun to warm the space during the winter when the sun angles are lower." Overseeing the Museum's glass lobby and exterior, Flagstar Construction Company Inc. of Brandon, Mississippi, worked closely with Raymond Glass Company, Inc. The glazing contractor team from Raymond, Mississippi installed Tubelite's 400 Series curtainwall with 7.5- and 10-inch-deep aluminum framing members. Making installation as easy as possible, this curtainwall uses an exterior screw-applied pressure bar to secure the glass in place. Meeting the specified performance design criteria, the system can withstand winds of up to 90 miles per hour. Additional systems for the Museum included Tubelite's E14000 Series storefront and Medium Stile Doors. Linetec painted all of Tubelite's systems' aluminum framing in a Bone White color for long-term durability with minimal maintenance. "We regularly receive compliments on our facility from visitors and the modern, open design makes it ideal for special events," said Emily Havens, executive director of GRAMMY Museum Mississippi. The Museum utilizes advanced technology to explore various musical styles through more than 15 permanent exhibits. "Mono To Surround" allows visitors to hear the evolution of sound through a custom listening experience, while "History Of Dance" features a touch-sensitive, multicolored dance floor and dance tutorial video. Exhibits, such as "Mississippi Music Legends," "Mississippi Music Bar" and "Mississippi Music Trail And Timeline," will explore the state's musical history and unique culture. Other exhibits explore subjects such as songwriting, producing and the history of guitar. In addition to permanent exhibits, the Mississippi Museum presents special exhibits throughout the year. Its inaugural special exhibit, "Ladies And Gentlemen ... The Beatles!" provided fresh insight into how The Beatles impacted America in the 1960s and beyond. "Pride & Joy: The Texas Blues of Stevie Ray Vaughan" runs through February 2017. The Sanders Soundstage, a 140-seat, state-of-the-art theater within the Museum, offers audiences space for entertainment and education. An outdoor amphitheater adjacent to the Museum accommodates up to 2,000 people for concerts and special events. * Photos by: Creative Sources Photography, Inc. 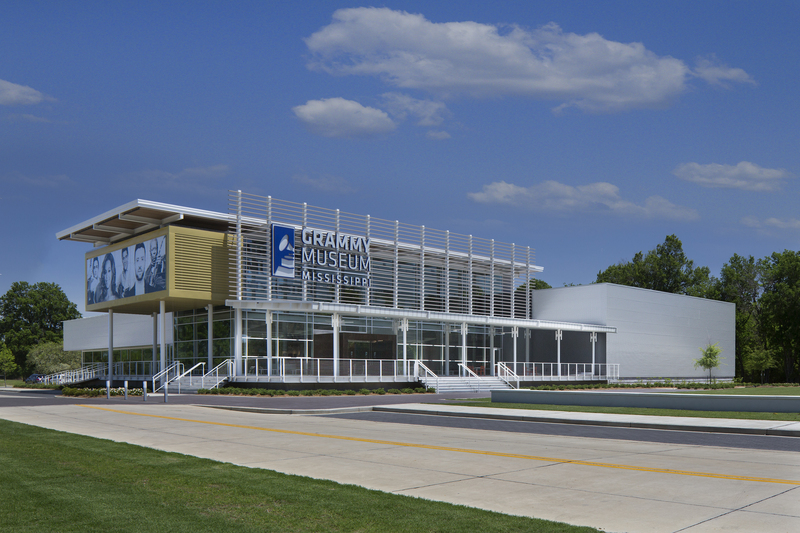 Built and operated by the Cleveland Music Foundation — a non-profit organization developed in 2011 — the 28,000-square-foot GRAMMY Museum Mississippi is housed near the campus of Delta State University, home of the Delta Music Institute's Entertainment Industry Studies program, which features the most unique audio recording facilities in the South. Similar to its sister Museum — the GRAMMY Museum at L.A. LIVE — GRAMMY Museum Mississippi is dedicated to exploring the past, present and future of music, and the cultural context from which it emerges, while casting a focused spotlight on the deep musical roots of Mississippi. The Museum features a dynamic combination of public events, educational programming, engaging multimedia presentations, and interactive permanent and traveling exhibits, including a Mississippi-centric area that introduces visitors to the impact of Mississippi's songwriters, producers and musicians on the traditional and modern music landscape. For more information about GRAMMY Museum Mississippi, visit www.grammymuseumms.org. For breaking news and exclusive content, follow @GRAMMYMuseumMS on Twitter and Instagram, and like "GRAMMY Museum Mississippi" on Facebook. For behind-the-scenes access, add us on Snapchat at GRAMMYMuseumMS.